INDEPENDENCE, Mo. Feb 9 2018 — Every day, police in Independence rush across town responding to alarms going off at homes and businesses. 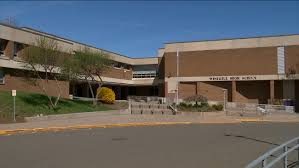 But more often than not, the calls turn out to be false alarms and police are out of position and spending resources investigating something that isn’t a legitimate threat. In 2016, police received 5,431 alarm calls. Only 94 turned out to be true emergencies. Numbers for prior years are similar. Monday, the city council adopted a new ordinance it hopes will reduce the number of false alarm calls police dispatchers receive. The ordinance allows the city to hire a third- party company to better track false alarms. The company will register every alarm owner, educate owners on how to adjust alarms and respond to alarms, and hold owners accountable with fines if their alarms result in frequent false calls. Police said a similar approach has shown success in other cities across the metro and country. “Most importantly, the education of the citizens has increased. People know why their alarms are going off, and they provide reasons to help mitigate those so the police can actually do the services they want us to do,” explained Major Paul Thurman, the commander of the support services division at the Independence Police Department. He said balloons, dogs and even weather can set off alarms. In his experience, alarm monitoring companies can’t get a hold of alarm owners, so they call police dispatch. Or, alarm owners don’t want to investigate the alarms themselves. 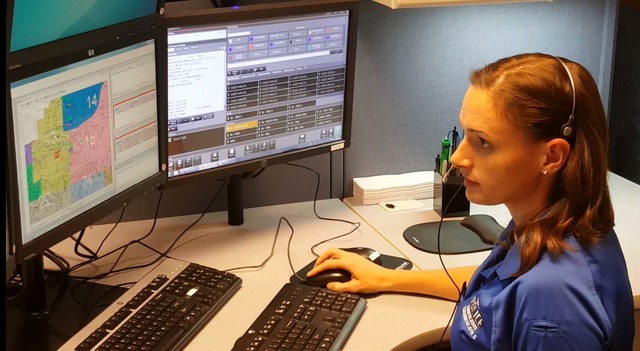 In Independence, dispatchers send two police officers to every alarm call. Each call takes roughly 30 minutes to investigate. Thurman said that adds up to around 3,000 man-hours every year, hours officers could be spending on other duties to promote public safety rather than investigating false calls. City Councilman Dr. Scott Roberson is a dentist and has alarms at his dental office. He says he was broken into once, but on other occasions, insects have set off motion detectors. He supports this ordinance and said educating alarm owners how to better handle alarm calls can result in keeping the entire city safer. “We have to have a number of police officers on the street doing what they’re meant to do; and that is policing Independence. So they have to be out and available in different parts of the city, not consumed with false alarm calls,” Roberson explained. The city plans to fully implement the program during the summer of 2018.